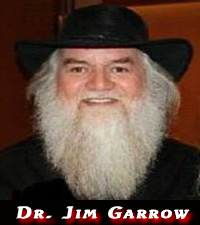 Doctor Jim Garrow, Philanthropist, Nobel Peace Prize Nominee and worker for one of the largest non-profit organizations on the planet to save female children from slaughter in China. He has been featured on several media outlets throughout the world. Then Doctor Garrow started noticing the atrocities surrounding him in China. He started noticing that there was a diminishing value in the lives of females. With China issuing the order of one child per family due to over crowding, families were literally choosing to abort, sell, and even kill the female child to try for a boy to pass on their lineage and name sake. Thus he founded Pink Pagoda Girls, a world non-profit organization dedicated to the rescue of unwanted girls in China. Pink Pagoda Girls even goes as far as finding homes for the female children. The work has become so recognized not just in the United States but around the world. Dr. Jim Garrow was even nominated for the Nobel Peace Prize for his work in saving the lives of over 50,000 young Chinese women.